Today’s high-pressure warehouse environments call for real-time confirmation of each action via a direct connection with the WMS, at any time and any place in the warehouse. The Inther solution for radio-frequency (RF) scanning comprises a complete and well-designed answer to your need for a paperless warehouse. The paperless warehouse is no longer a pipe dream! 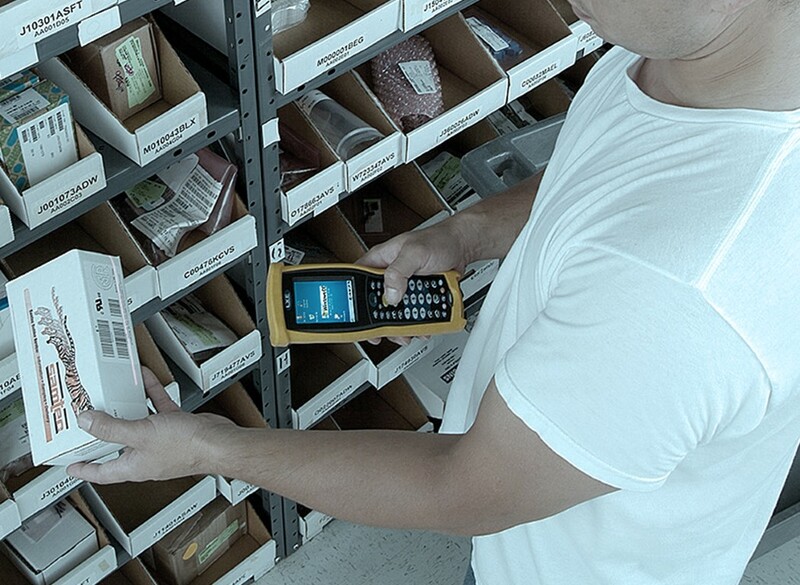 By supporting your warehouse processes with RF scanning, you can improve the efficiency of your operation without paper. The result is a well-oiled process with a rapid return on investment. Inther’s solutions for RF scanning have a modular set-up, ensuring they are easy to adapt to your individual requirements. Meanwhile, the RF scanners are robust and meet the highest standards in wireless networking. Our RF scanning solutions put wireless scanners at your employees’ disposal, enabling them to work quickly and flawlessly in real time. Your employees receive the necessary step-by-step instructions for the order picking process on the RF scanner display. By scanning the barcodes on the products and at the pick locations, the operators can immediately check each action and thereby avoid making errors. Thanks to this precise checking and support of each product movement, RF scanning represents the ideal tracking and tracing solution. By opting for Inther’s RF scanning solutions your company benefits from a one-stop shop; we not only provide the correct scanners and other equipment, but also manage the implementation process from start to finish. We conduct thorough analysis of your facility so that we can guarantee complete RF coverage for the scanners in your warehouse. Top-quality after-sales service is guaranteed too, thanks to our own in-house repair centre.